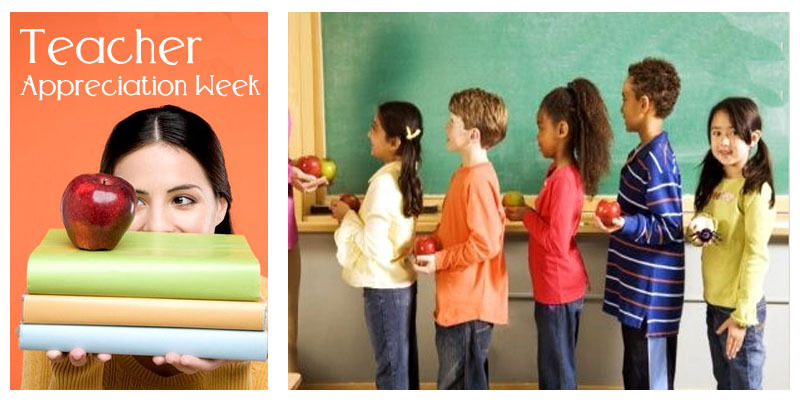 Did you know that every year the National PTA sets aside the first week in May to celebrate the amazing contributions of teachers around the country? 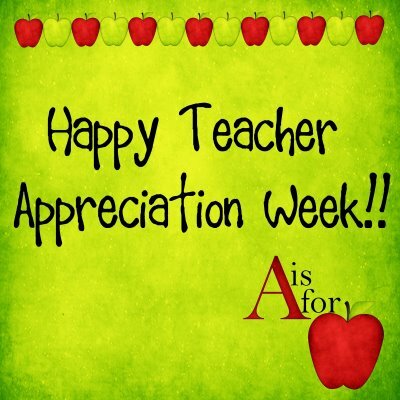 That's right, this year Teacher Appreciation Week is this week, May 3rd-7th. This is the perfect time for Administrators, Academic Advisors, students, parents and community members to show their teachers just how important they are to the success of the school. 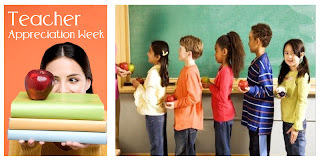 Here are 8 tips for celebrating teachers during Teacher Appreciation Week or anytime throughout the year. 1. Hold a Teacher Appreciation breakfast or luncheon. During the event, hand out teacher awards. "Most likely to..." awards are an excellent addition because it is easy to include everyone in the celebration. Find free certificates at Certificate Street. 2. Organize student's sports team to play against teacher volunteer teams in front of the whole school. Bands, choirs, and cheerleaders can perform special routines celebrating teachers. 3. Display teacher appreciation bulletin boards throughout the school. One idea is to place a baby picture of every teacher, organized by grade level, and allow grade levels to attempt to guess the teachers in each photo. 4. Hold a raffle for teachers in which administrators and/or advisors switch roles with teachers. Vow to cover their class for a few hours while they observe other teachers, plan a unit, or relax in the teacher's lounge. 5. Hand out a small stack of personalized notepads to each teacher. Design and print the notepads yourself or organize a team of student volunteers to create the notepads at notepads or sticky notes for teachers. 6. Read or email a teacher poem a day. Here are 10 ready made teacher poems. 7. Place small, thoughtful treats in teachers' mailboxes daily to remind them how important they are. Items can include candy bar minis, pens, pencils, mugs, tote bags, hand written notes, stationary, stickers, teacher supplies such as whiteboard markers, etc. 8. Say "Thank You" and give your teacher a hug to recognize their hard work and dedication to enhancing the knowledge of our future generations. How will you recognize your teachers?